I just came back from this amazing road trip with my husband and can’t wait to share my experience. In this blog post I will give away our secrets for one of the best road trips of our lives. 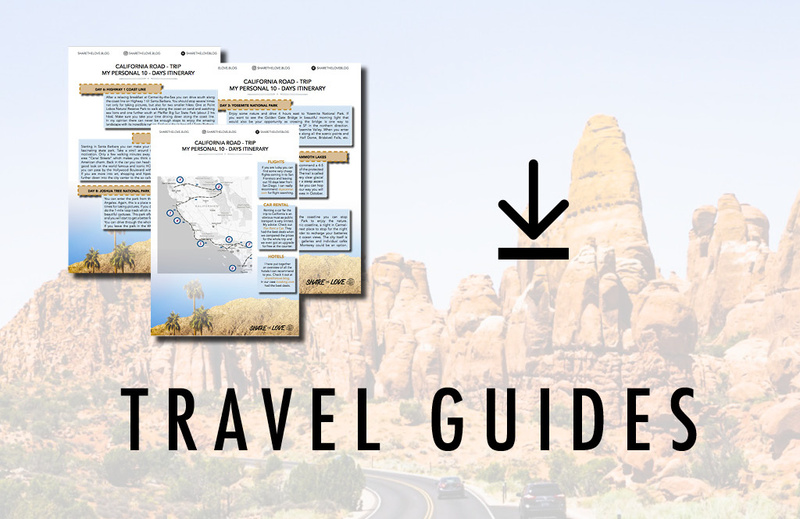 You might also want to check out the little travel guide I put together as a download for a nice overview of the whole trip. Just sign in for the Share-the Love-newsletter and I will forward you the download link. As we had only ten days and California has so much to offer we have decided against a round trip. We were lucky to find some very cheap flights coming in to San Fransisco and leaving out 10 days later from San Diego. I can really recommend skyscanner.com for flight searching. I just love the easy design. However, it is also not a big deal to take on some more driving and dropping one or two cities to do a roundtrip instead if preferred. Either way you should drive south along the coast line heading from San Francisco towards San Diego along Highway 1. The views are amazing and on the right lane it is just so much more convenient to stop for some amazing photos and breathtaking views. Renting a car for our trip to California was an obvious must. You would just miss out too much of the beautiful landscape and also in bigger cities it is the best way to stay flexible as public transport is yet very limited. I am a huge fan of beautifully designed hotels with various little individual elements in the rooms. In the big hotel chains in the US I rather feel more like on a business trip than being on vacation. Hence we tried really hard to find some very special and stylish places for our vacation. 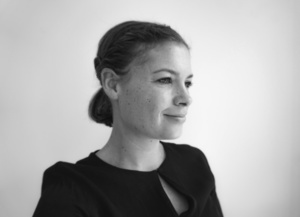 You can find great listings on the common known sites such as booking.com, airbnb.com, etc. Depending on the time of the year you should book all accommodations way in advance to avoid endless hotel hunts in the evenings. Especially in summer time this can be quiet a challenge. If you prefer more budget friendly motels over hotels you will be more flexible. We had have been lucky with all the hotels we booked throughout the journey and I have put together a list of our nice spots for your inspiration which you can find here. Want some good vibes in your mail? 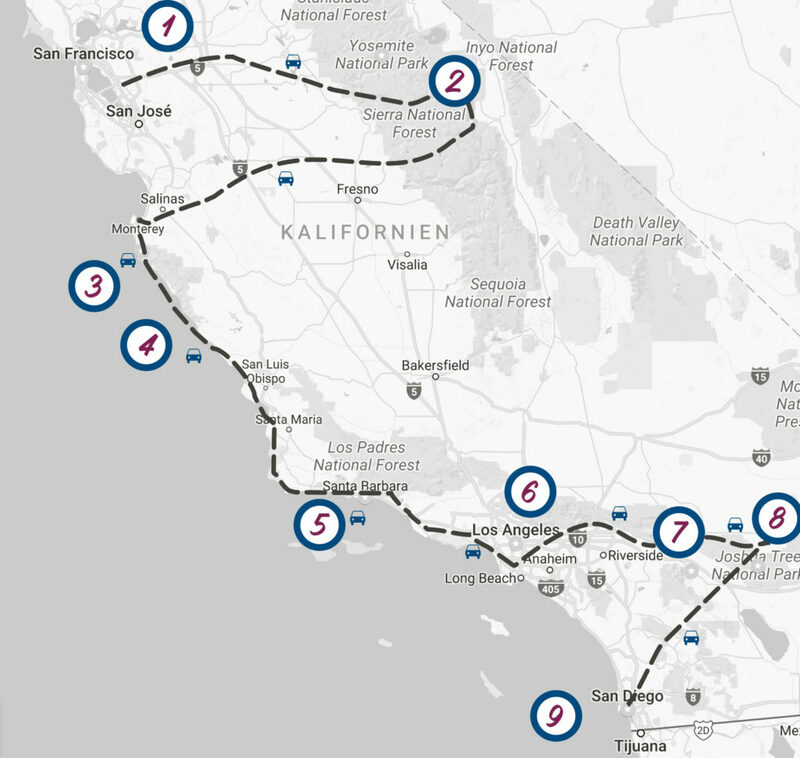 But let’s get startet with the detailed California itinerary, shall we? If you are lucky enough to catch an early flight it will give you enough time to get a first good impression of the city! 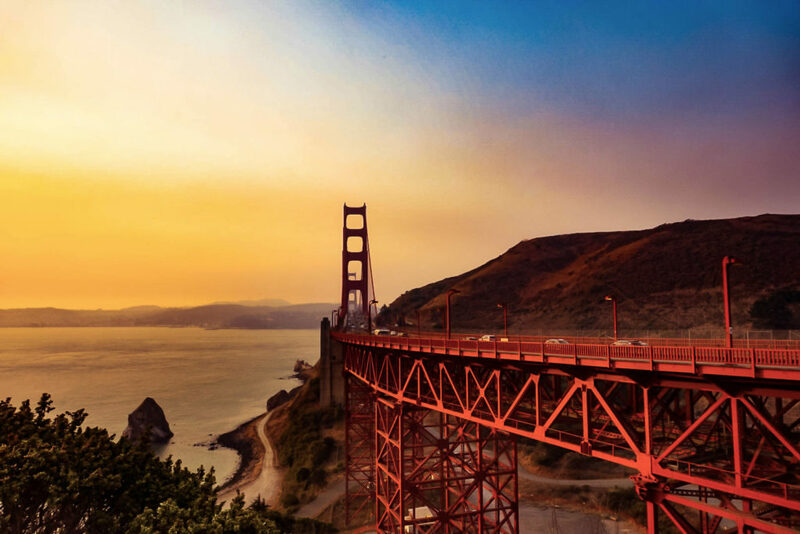 After picking up the rental car at the airport you can directly head to the famous Golden Gate Bridge (40 min drive) for some outstanding pictures of this world famous sight. The fee for the bridge was already included in our rental car deal. That way it was no question whether or not to pass the bridge. The view is so much better on the other side. 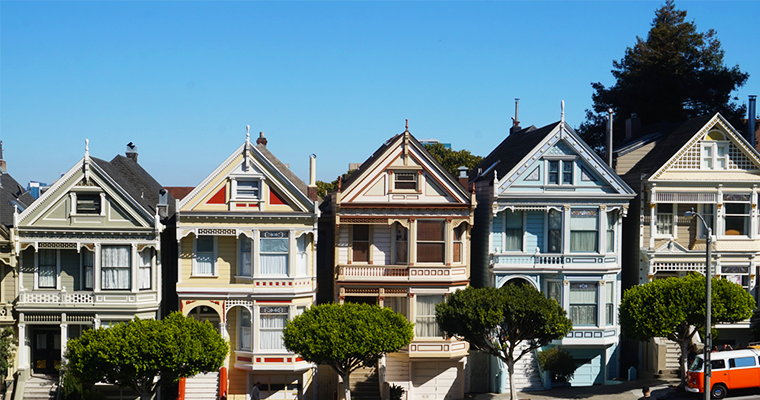 Not too far on your way back to the city, you can pass by the Alamo Park with the beautiful Painted Ladies (Victorian styled houses known from the television series Full House). Take a stroll in the park and relax a bit – maybe with some ice cream or a cold drink and enjoy the view! Just around the corner In the neighborhood there are some beautiful restaurants and coffee shops if you need new energy. For the evening I can recommend a stroll in the area Octavia/Hayes Street where you will find really nice shops, little boutiques and restaurants to hang out. 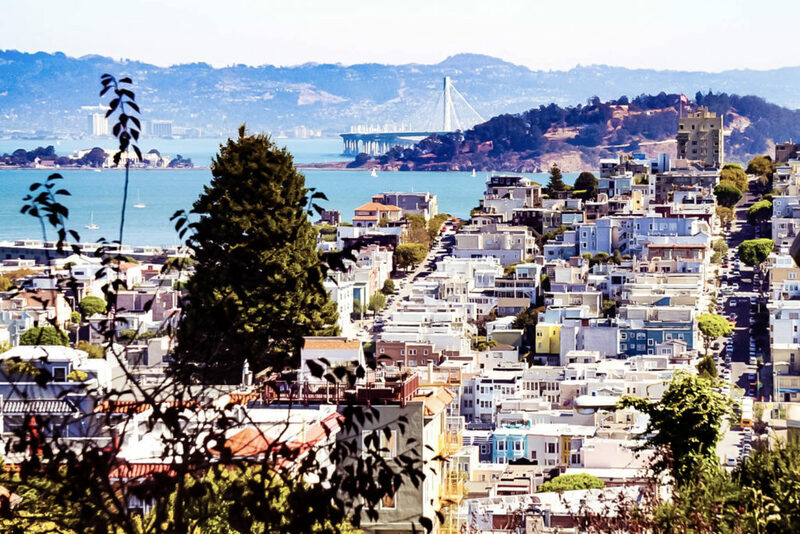 There is too much to see in SF that you wouldn´t wanna miss by just staying one night. San Fransisco is definitely one of the best cities in California and the US! The Octavia/Hayes area offers some great breakfast places to start fully boosted into the day. After that you just have to ride on the obligatory old cable cars – it is a definite must! First I thought it is too touristy but when you stand on the edge and you feel the wind in your hair while beautiful neighborhoods are passing by everything just feels perfect. All cable cars start at Powell Street Station. Lines can get really long – especially in summer time. If you don’t want to waste too much time you can just walk some stations up the street to enter at one of the bypassing cable cars. You can ride the cable car till Fisherman’s Wharf and reward yourself with a nice view of Alcatraz. If you are up for a walk you should not miss out Lombard Street (Lombard/Hyde). From here you have a nice view over the big, hilly city but you can also take some nice pics of the fancy serpentine street. For me nature is an important part of traveling and so we could not resist to drive 4 hours east to Yosemite National Park. If you want to see the Golden Gate Bridge in beautiful morning light that would also be your opportunity as crossing the bridge is one way to get to the park in case you decide to leave SF in the northern direction. Most scenic attractions are in the so called Yosemite Valley. This is also the part of the National Park where most tourists are. We have been there in October and therefore the park was less crowded and we were able to enjoy the beauty of the surrounding nature by ourselves. 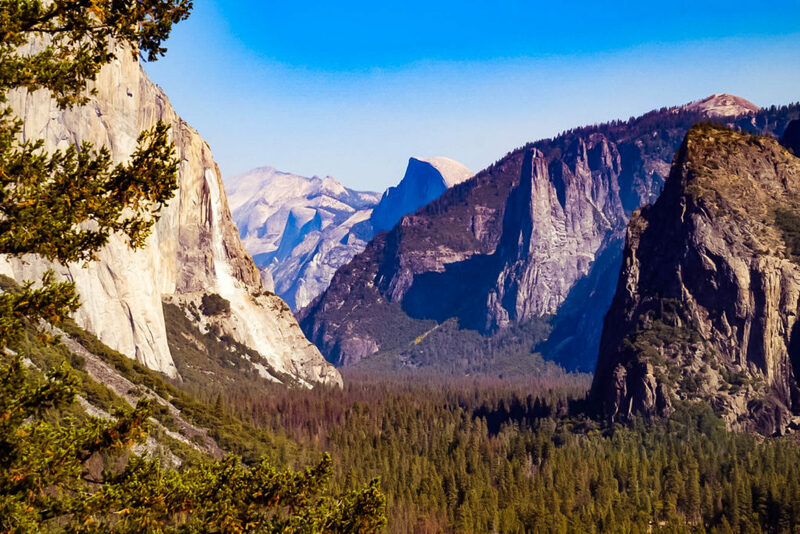 When you are entering the park from the West entrance you can drive along all the scenic points and stop for pictures: Tunnel View, Glacier Point, Half Dome, Bridalveil Falls, etc. To get to our hotel we had to drive all the way through the National Park and cross the beautiful Tioga Pass (closes in late October) to get to Mammoth Lakes. Here we enjoyed a relaxing evening after a day full of driving and epic views. By the way: When you enter the National Park you will be handed a map of the Park. Keep it! There is almost no internet connection in the whole area and this simple offline card makes planning so much easier! We did a beautiful 4-5 hours hike near Mammoth Lake which is technically not a part of the protected National Park but nonetheless incredibly beautiful. I can highly recommend our hiking trail called Duck Trail. We wandered through the woods to see some very clear glacial lakes in all the shades of blue you can possibly imagine. After a steep ascent we had a gorgeous view over the Big Duck Lake. We researched many different trail options and I am sure they are all very nice alternatives. After your hike you can hop in the car again and do the scenic “158 loop“ by car. 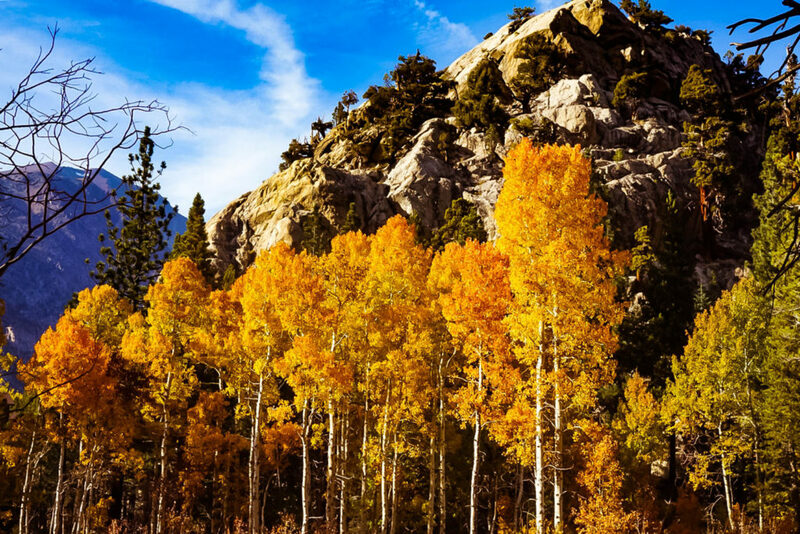 On your way you will pass some lakes surrounded by beautiful autumn colored leaves in October. We slowly made our way back from the nature to the coastline stopping several times throughout the National Park and enjoying the late October sun. 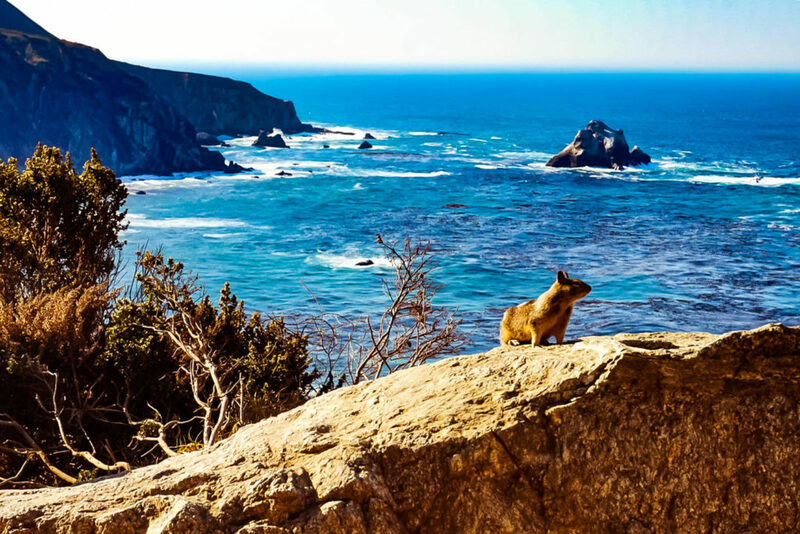 If you want to make the most out of the scenic coastline, a night in Carmel-by-the-Sea is highly recommended. It is a great place to stop for the night after the drive from the National Park in order to recharge your batteries with a romantic dinner and to enjoy the first ocean views. The city itself is very cute with tiny boutiques, multiple art galleries and individual cafés and restaurants. The close by town Monterey also has a lot to offer to offer (especially for families) with its pier and well-known aquarium. After a relaxing breakfast at Carmel-by-the-Sea you can drive down along the coast line on Highway 1 till Santa Barbara. We stopped several times not only for taking pictures, but also for two smaller hikes: One at Point Lobos Natural Reserve Park to walk along the coast on sand and watching sea lions and one further south at Pfeiffer Big Sur State Park (about 2 hrs hike). Make sure you take your time driving down along the coast line. In my opinion there can never be enough stops to enjoy the amazing landscape with its incredible nature. In the evening you will be arriving in beautiful and very classy Santa Barbara. We have been lucky enough to walk towards the pier on sunset. The purple light creates a conducive and magical atmosphere! If you want to explore Los Angeles you should definitely start your day early as traffic is getting really bad throughout the day. 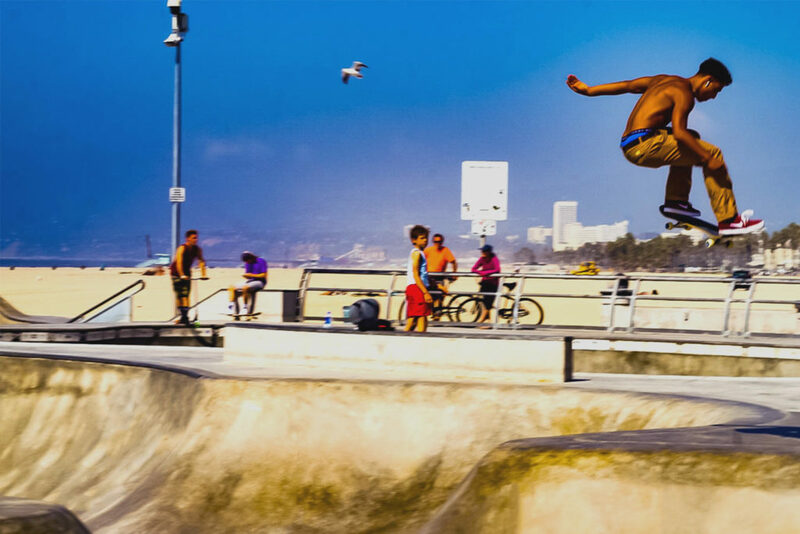 Starting in Santa Barbara our first stop was Venice Beach with the fascinating skate park. I could have stood there for hours to admire the skaters with their fancy tricks and artistic moves. Their body control and skills totally amazed me. Take a stroll around that area and get some exercise motivation at Muscle Beach where former actor and Governor of California, Arnold Schwarzenegger, was lifting weights. Only a few walking minutes away you will find the well maintained area “Canal Streets“. This is a neighborhood with very beautiful decorated homes along small canals which make you think of the real Venice in Italy but with American charm. Back in the car you can head up to Griffith Observatory to get a good view on the world famous and iconic HOLLYWOOD sign which represents the film industry and spirit of the city like no other landmark. On the way back you can pass by the Hollywood Boulevard with its famous „stars“ on the street. We are not really into that shiny “VIP world“ but just passing by was interesting. Here you will find more of a mass tourism type of atmosphere and in my opinion it is representing the less glamorous area of Los Angeles. If you are more into art, shopping and hipster coffee shops you should head further down into the city center to the so called Art District close to Chinatown. Don’t be mistaken – the journey can take you some time and public transportation is not really too good. The Uber cab ride took us almost two hours into the city because of several traffic jams which was definitely a cultural experience on its own 🙂 If you want to explore this vibrant Art District, I would recommend a hotel nearby. After the big city we were longing for some quiet nature again and there is no better place for that than the Joshua Tree National Park! We entered the park from the North and it is not too far away from Los Angeles. Again, this is a place where you can drive through and stop several times for taking pictures. 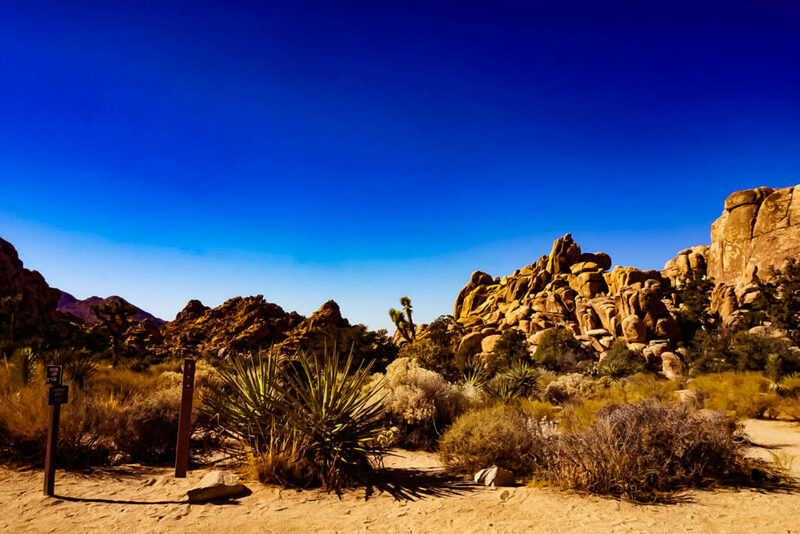 However, the park also offers various hikes with different lengths – enough water is a must if you intend to go for a longer walk in Joshua Tree National Park due to the heat all year round. If you don’t have much time you should nevertheless do the 1-mile loop track which will take you around an area with big rocks and beautiful cactuses. 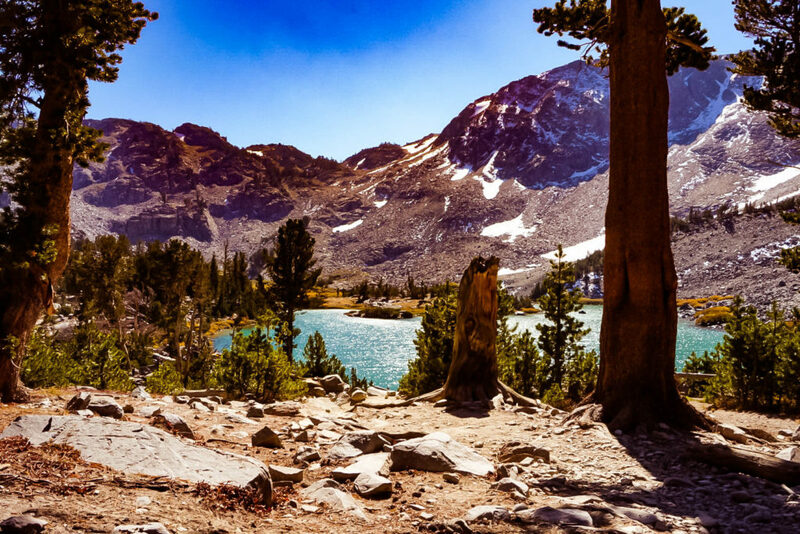 This park offers such a contrast to Yosemite National Park and you will start to get a better feeling for the different vegetation in California. You can drive through the whole park and observe the changing landscape. If you leave the park in the West it is only a short drive to Palm Springs. Before you head down to San Diego: The morning in Palm Springs is the perfect time to do a short city bike ride. Most of the hotels offer city bikes for free and it is an easy way to pass by all the nice interior and coffee shops. A bit outside the main road you will also find very nice neighborhoods with unique door designs. Just google „pink door Palm Springs“ and you know what I mean. 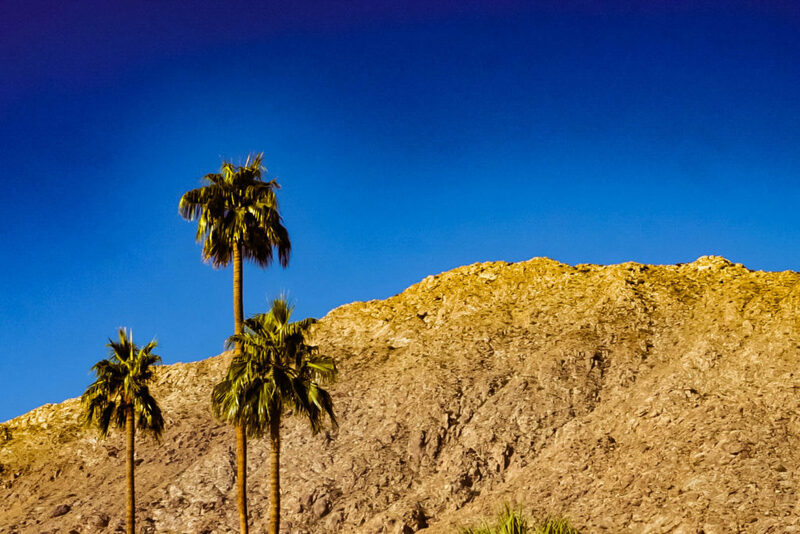 Palm Spring itself appears like an oasis in the desert with its green palm trees, always blue skies and dry mountains. Great place to take pictures! Back in the car it took us about 2,5 hrs to get to San Diego. When you look for a hotel you have to decide whether you want to stay close to the beach or the city as there is almost no public transportation and you have to take the car or Uber to get to the other part of the city. We have chosen a nice hotel at the beach and enjoyed the rest of the day near the pier and in the sea. When you don’t want to hang around the beach all day long you should definitely explore the city. You can either start or end in the Gaslamp Quarter which is famous for it’s charming architecture. However you should be hungry as it is mostly about food. After that we took the car to the North Park – the hippest area of San Diego with some really nice shops and restaurants. Definitely a place to walk around, search for nice graffitis or drink a cold brew coffee. If you are interested in more insights about nice shopping locations check out my post about North Park here. On our way to the wealthy city by the sea called La Jolla we stopped at the Spruce Street Suspension Bridge. The bridge has a nice design and is located in a quiet area. If you can include it on your way without a long detour you should definitely plan it in. 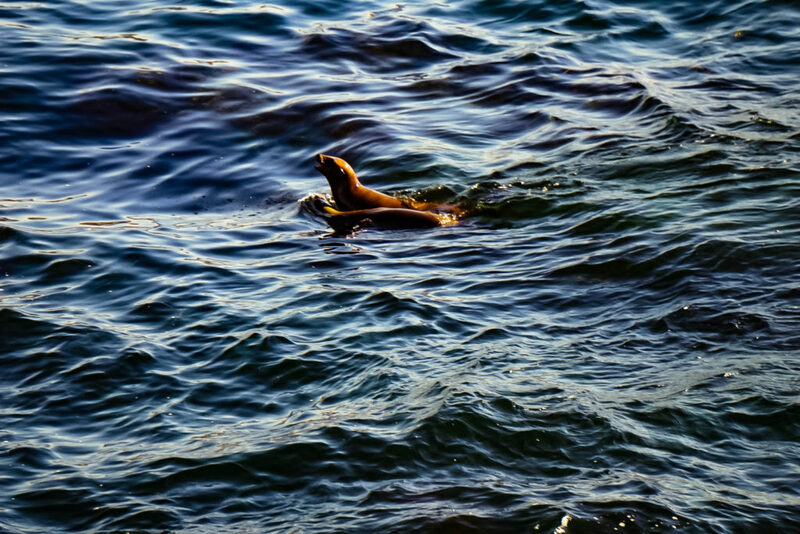 La Jolla itself is a great area to watch sea lions from close by and to shop for some art. I can definitely recommend the National Geographic Art Gallery. They have some stunning pieces and we got ourselves a really nice souvenir! And then it is time to say goodbye and head to the airport. Until next time California! I hope you find use for my 10-days-itinerary for a road-trip in California. For us it was definitely a vacation to remember. It was very varied with big cities, hiking in nature, looking for art and relaxing at the beach. Hence the diversity of California makes it easy to fall in love with. The people have been very nice and open and especially in San Fransisco there is a very relaxed vibe which makes you feel like being on holiday from the very beginning. No matter if you are traveling with children, friends or as a couple, this road trip is suitable for all kinds. I have put together a free 6-page brochure about our trip with details of every day, the must sees and a helpful map to download. As there won’t be Internet in the National Parks you might find this download useful. 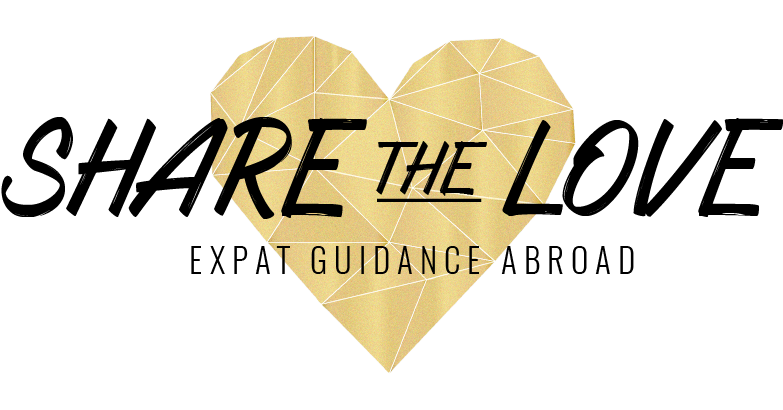 Just sign in to the Share the Love Newsletter and I will send you the download link via Mail. 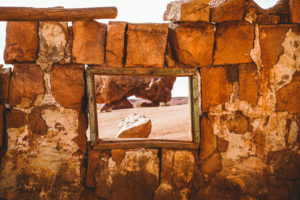 If you need some inspiration for hotel bookings in California, check out our recommendations here. Finally, I also put together a shopping overview for the trendy neighborhood North Park in San Diego. This was one of the most inspiring places in San Diego. Just klick here for the full overview. Have you been in California before? Did I miss an important stop? If you want to experience the beach, rainforest, and snow at one place you should head to Hawaii, Big Island. 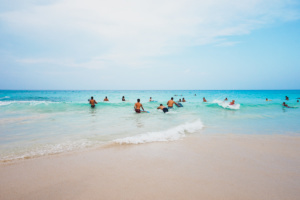 Check out my travel guide for 1-week vacation on Big Island, Hawaii. Hawaii is way more diverse than I thought it would be. 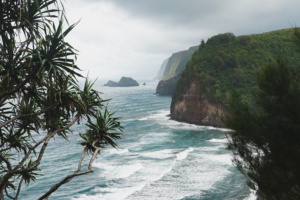 Read more about the 7 most surprising facts I learned about the beautiful Big Island/Hawaii. One of my best backpacking experiences ever: Hiking in the north of Thailand. 3 days without running water and electricity in the middle of the jungle. 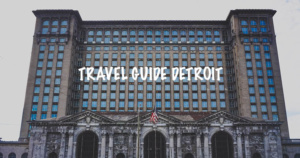 Detroit – Apocalyptic vibe meets raw urban lifestyle Have you been to Detroit? I realized Thanksgiving is a huge thing here and maybe similar to Christmas for us in Europe. 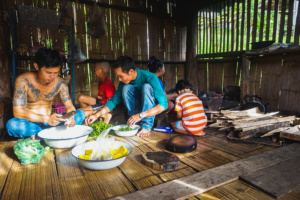 Everybody is coming from far away to spend some quality time together with great food. Pingback: Backpacking Thailand: The real experience - would you dare? O. California. One of my favorite states. Your trip is awesome. Sincerely envy you. Always wanted to go there. I especially like the majestic canyons.